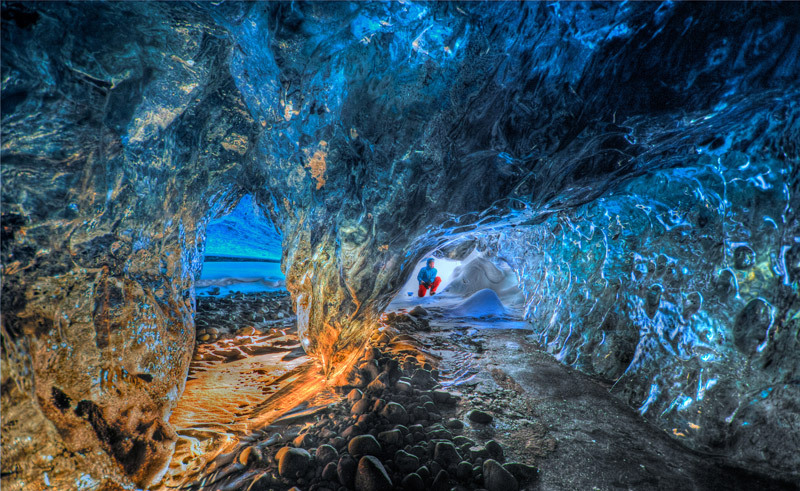 Ice caves are only found during the wintertime when the glacial rivers retreat, allowing caves to form within the ice due to the freezing temperatures. 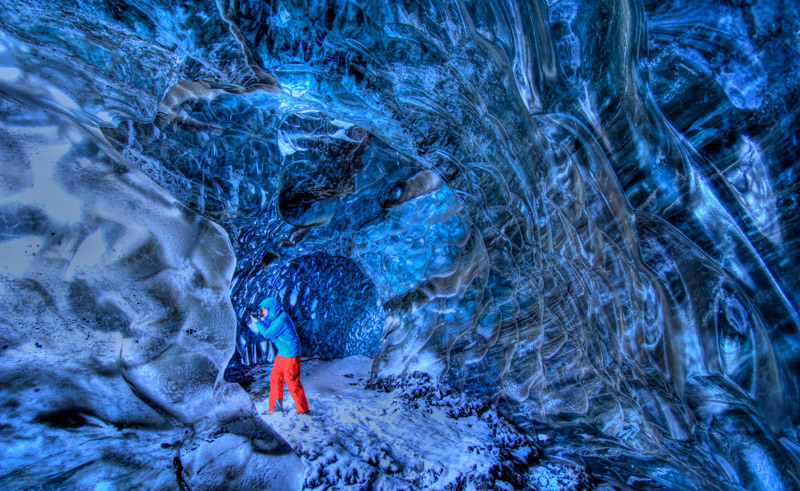 Different caves will be revealed every year and will evolve over time, meaning that each day tour will have an almost unique perspective of the icy world within the glacier. 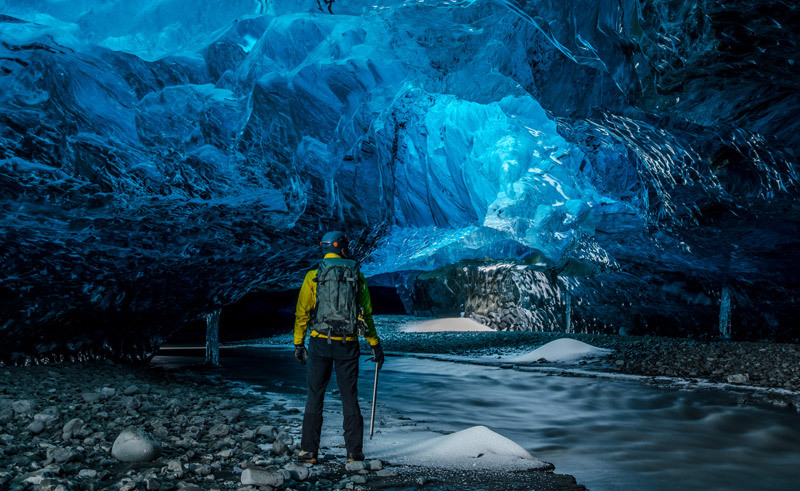 Accompanied by a certified local guide, the tour begins with a 4×4 ride and then a short walk to reach the remote ice cave. The tour is rated as easy to moderate and the minimum age is 13 years.